Born Thomas Miller in Wilmington, Delaware, in 1949. Verlaine (who borrowed his artist name from the French poet) was trained as a pianist but got interested in rock music because of The Rolling Stones. In 1968 he moved to New York where he formed the Neon Boys with Richard Meyers (aka Richard Hell) and drummer Billy Fica. In the early 70's Richard Lloyd also joined on guitar. In 1973 the band changed their name to Television. Debuting with an impressive (but hardly commercial) 12" (or 2 x 7") single in 1975, "Little Johnny Jewel", Television became one of the great bands of the New York punk-rock scene often playing alongside the Patti Smith Group, Ramones and Talking Heads in CBGB's and later also in Max's Kansas city. By that time Hell had left to start the Heartbreakers with guitarist Johnny Thunders. He was replaced by ex-MC5 and Blondie bassist Fred Smith. "Little Johnny Jewel" attracted the attention of major record labels. The band signed with Elektra and started working on their debut. Released in 1977, "Marquee Moon" is a stunning guitar-rock album. It has influences ranging from the Velvet Underground and garage-rock to surf-music, improvisational jazz and minimalistic music. Solid songstructures and Verlaine's terse vocals head into long instrumental sections full of terrific guitar-interplay. While Lloyd (technically the better player) had the habit of writing down his guitar solos, Verlaine worked more instinctive, off the wall. "Marquee Moon" is a highlight of the New York 70's scene and one of the best albums of that decade. "Marquee Moon" just made the Billboard 200 but did reach a respectable top 30 in the UK, stirred by the raving reviews it received. Sensing that their debut was impossible to top, the approach for the follow-up was different. "Adventure", released in April 1978, is a more-produced and softer album. It's more disciplined and has less room for surprises. Even if it's not as surprising and classic as the debut, the songs and performances are fine throughout. "Adventure" sold even less in the US than "Marquee Moon" but got to no. 7 in the UK. Unfortunately, due to a lack of succes, musical differences and a drug addiction by Lloyd the band fell apart later that same year. 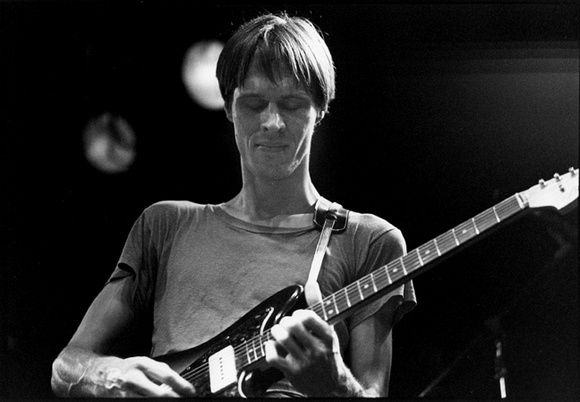 With his first two strong solo albums "Tom Verlaine" (1979) and "Dreamtime" (1981) Verlaine confirmed he was the main writer for Television (though Richard Lloyd's "Alchemy" (1979) is highly recommended) . Angular rockers (and a mid-tempo ballad now and then) with spare instrumentation are decorated with flashy guitarhooks. Follow-up "Words From The Front" (1982) is less consistent but still a very solid album with some remarkable solos (check out "True Story"). On his fourth album "Cover" (1984) Verlaine tries new (wave) directions in a successful way. The arrangements are more intricate and quirky. "Flash Light" (1987), co-produced by Fred Smith, is more accessible and rocks harder. This is the last in an impressive batch of solo albums. From here on, Verlaine seems to lose interest in his solo career and focuses more on producing, making music for soundtracks and occassionally backing-up Patti Smith. During the 90's Verlaine only delivers two new solo albums. The slow, slickly produced "The Wonder" (1990) is disappointing. The instrumental "Warm and Cool" (1992) is enjoyable but hardly essential (except "Saucer Crash" perhaps). In 1992 Television reforms and record a third selft-titled album. "Television", follows the lyrical, restrained approach of Verlaine's recent solo albums. With the big difference that Lloyd is back to trade licks. Though "Television" is not as classic as the first two albums, it's a strong album ("Call Mr Lee" is a highlight) which features some terrific guitarwork. Television infrequently perform live resulting in one live-album, "Live at the Academy NYC, 12.4.92". Due to health-issues Lloyd decides to leave the band in 2007, he is replaced by Jimmy Rip (ex-Paul Collins Beat, Debbie Harry). The band have been working on a 4th album but nothing has been released so far. 2006, Surprisingly, brought two new Verlaine releases at once. The interesting instrumental "Around" and "Songs And Other Stories", the true follow-up to "Flash Light". Featuring some of his best solo songs, "Songs And Other Stories" is a delight. In 2011 Verlaine is chosen as one of the 100 greatest guitarists of all-time by Rollings Stone.